Galleria On Third creates a stunning piece of art to surround your most precious valuables. We can turn your memories into ART! We frame all needlepoint in a 'gallery-style' frame; this is a more contemporary style and complements any décor. When framing needlepoint, the glass is set away from the canvas rather than pressed up against it, which allows the needlepoint to "breathe". Many people don’t consider object framing until they see our samples. “Wow!” Can you frame that?” Sure, you’ve seen or may even own a framed sports jersey, but what about a communion dress or baby’s first onesie? Custom framed mirrors, any size you like, from the itty bitty to the largest mirror you can fit in your home; beveled and non-beveled, polished, tinted, etched mirrors (company logos etc. ), even two way mirrors. Hang them frameless on the wall or dress them up with one of our thousands of moulding choices. 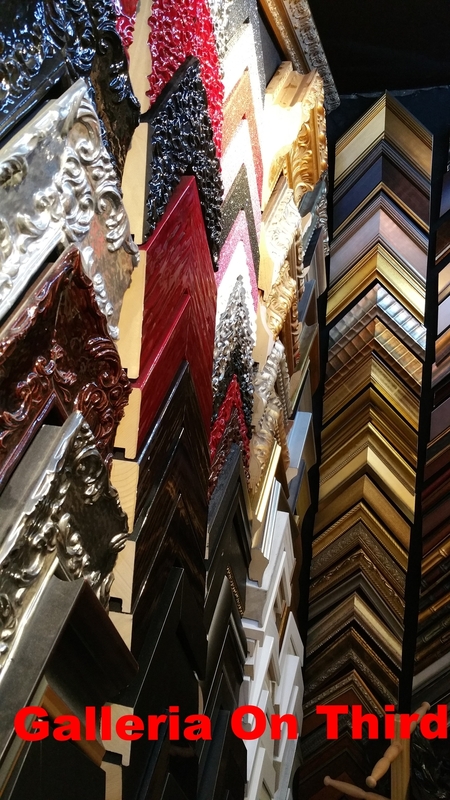 Galleria On Third is here to serve the best quality framing in NYC.